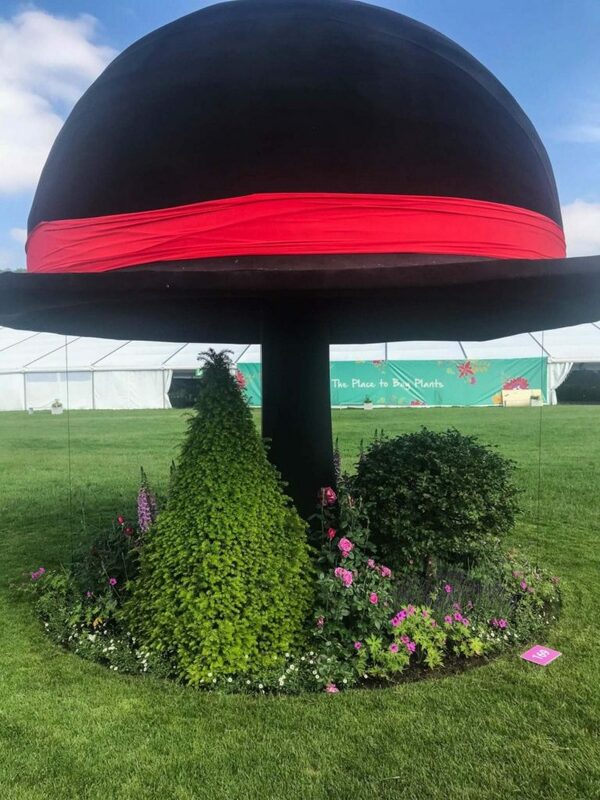 For a designer who doesn’t do show gardens, I seem to have done a few in 2018. 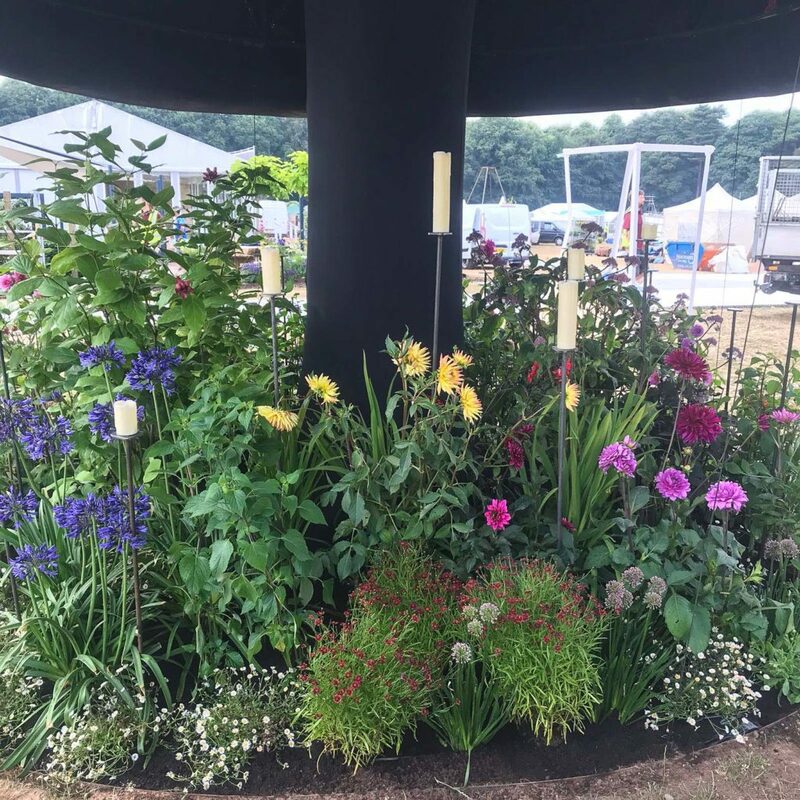 Following on from a couple of sound garden variations in London and Moscow (which should both be lurking around this website somewhere) I have also done two more for the RHS at Chatsworth and Tatton Park. To be honest it was the same garden but with different plants. 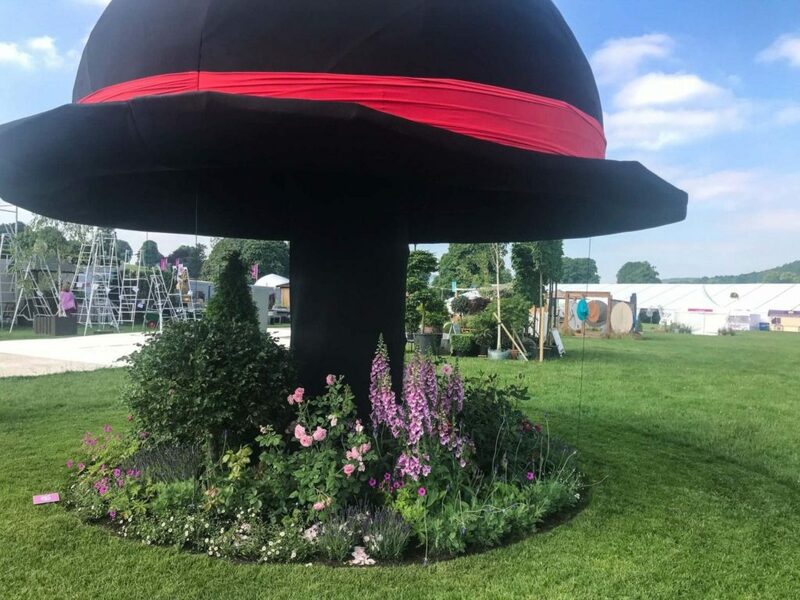 The initial idea came from the notion that it would be fun to have unjudged installations at Chatsworth when the show was first inaugurated on 2017. These were intended to encourage a bit of sideways thinking from designers (outside the constraints of the judging criteria) and also to try and promote collaborations between gardeners and other disciplines. I decided to do something with a set builder called Mark Winrow and a whole load of students from Worthing College. The idea was very simple and with no particular significance or meaning. It was merely intended as a bit of whimsy to make the visitor smile. 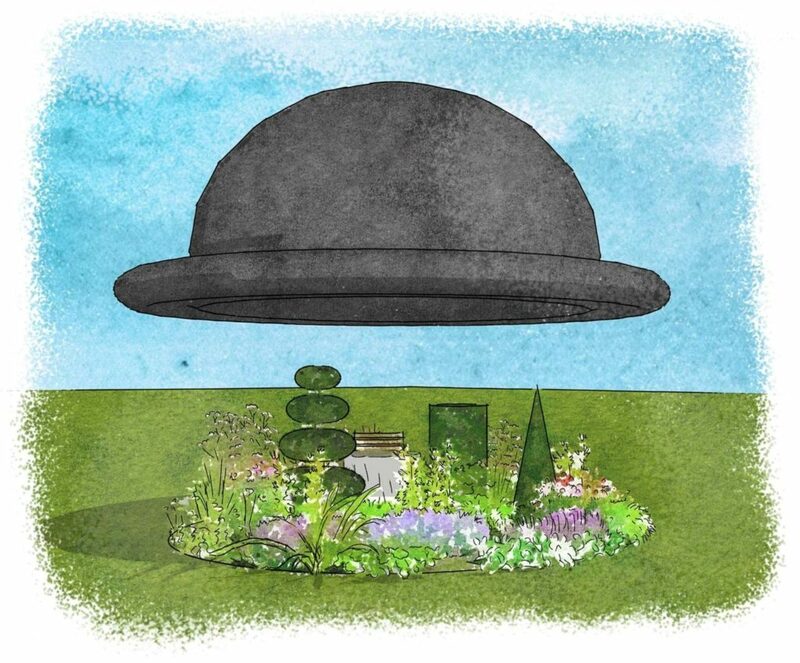 A small, though perfect, little garden concealed beneath a large (5m diameter) bowler hat. Every five minutes the hat ascended, hung around for five more minutes and then descended again. 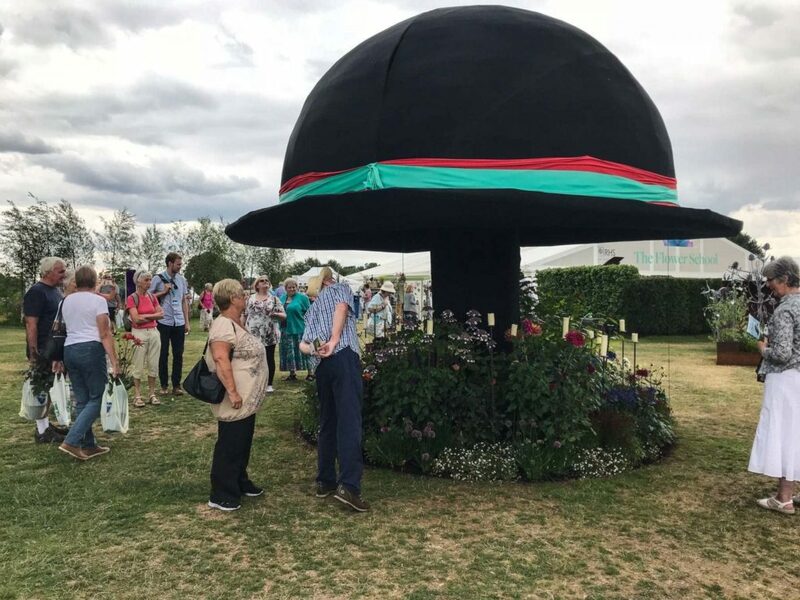 The planting beneath the hat at Chatsworth was mostly roses and lavender with a couple of quite serious bits of topiary – one little unanticipated side effect was that the scent of the plants was held under the hat and then released is a wave that washed deliciously over the gathered public. 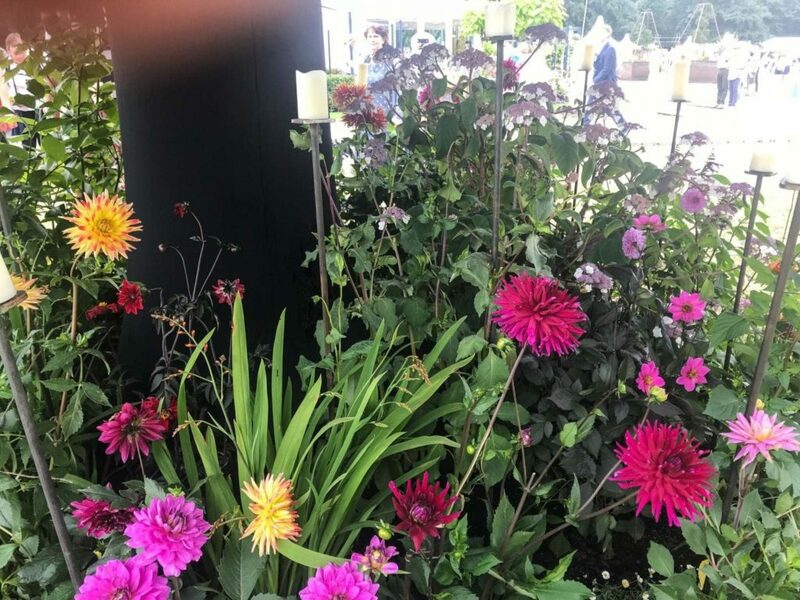 At Tatton we swapped them for dahlias, a couple of handsome Calycanthus, some Agapanthus and a plant I had not previously met, Allium Millennium. Show gardens without judging are remarkably stress free – you should give it a go.